The main modification, and it is a very important one, is that a well-occupied system resists invasion by rampant forms (such as blackbirds and blackberries), so that the initial diversity, plus lack of disturbance are the factors that will preserve the diversity-stability dynamism. I cannot stress too much the importance of keeping a small area fully occupied with plants as a strategy to reduce work. I once heard from a professional hacker the first action when accessing a system is see of it’s been previously hacked. This can mean commands and passwords from the system owner, or attempts made by another hacker. The point is you don’t waste time busting the door to toothpicks if the key is in the lock. In this way one gets access quickly, and can use the same door that kept them out to keep others from getting in; a crucial detail being you take the key with you. In the case of getting fertile soil to grow our preferred plants, grass and weeds have already hacked the system. We can usually use their biomass to remove them by mulching. Nonetheless, using the key in the lock to get in, it’s crucial that we take the key with us by planting a groundcover that we can easily remove. The question is, what’s a good groundcover? A lot of plants don’t serve that purpose very well. So in the following posts is an exposition of my keychain, or the plants I like best for easily removed ground covers and permanent ground covers alike and how I manage them. 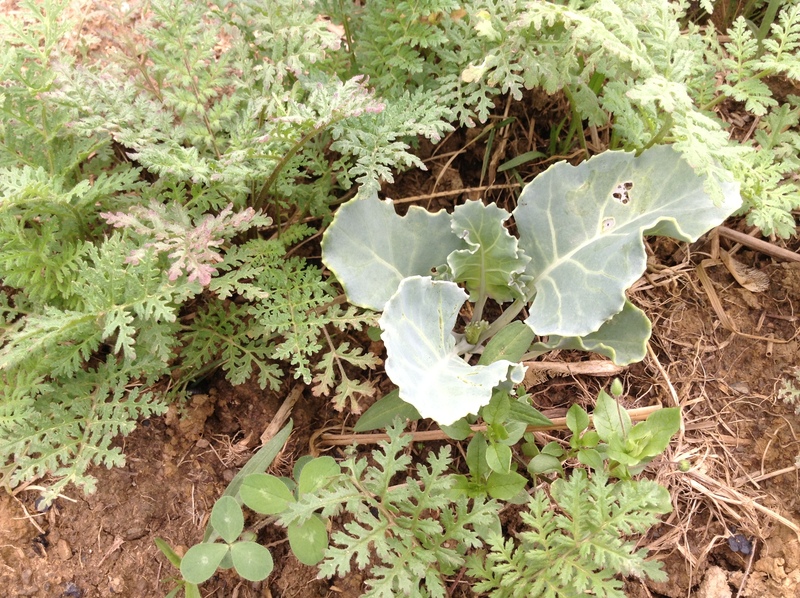 A seakale (Crambe maritima) with a nurse crop of Phacelia tenacetifolia. I am going to be extremely interested in this series.